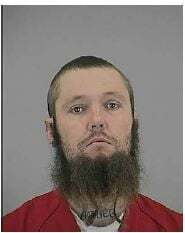 Lawyers for a Casa Grande man indicted for stabbing his mother to death and telling authorities that God had told him to do it are seeking an evaluation of his competency to stand trial. The Casa Grande Dispatch reports that attorney April Elliott says she is concerned that Joseph Cain Cecil may be unable to understand the proceedings against him and assist in his own defense. Elliott says Cecil has a mental health history and the state even labeled him "seriously mentally ill pursuant to law." She recently filed in Pinal County Superior Court a motion for evaluating the 38-year-old. Cecil was arrested on Oct. 4 after allegedly stabbing his mother, Ronna Thomas, 65, and her 63-year-old sister, according to the probable cause statement. Gaffney said sheriff deputies arrived at the 1800 block of west Camino Grande to find a blood-covered woman in the front yard and Cecil lying on the ground with a man standing over him with a shovel. Inside the home, deputies found Thomas with multiple stab wounds, said Gaffney. Gaffney said Thomas was taken to Casa Grande Regional Medical Center, where she later died. Her 63-year-old sister was taken by air ambulance to a Phoenix area hospital, where she was in stable condition, said Gaffney. Sheriff Paul Babeu stated, "Had it not been for the intervention of the neighbor who stopped the attack, we would have undoubtedly had another homicide victim." Babeu added, "When homicide detectives asked Joseph Cecil why he stabbed the two victims, he told them, 'God told me to do it.'" He has pleaded not guilty to charges of first-degree murder, attempted murder and aggravated assault with a deadly weapon.